This weekend, travel to the countryside without leaving the city! 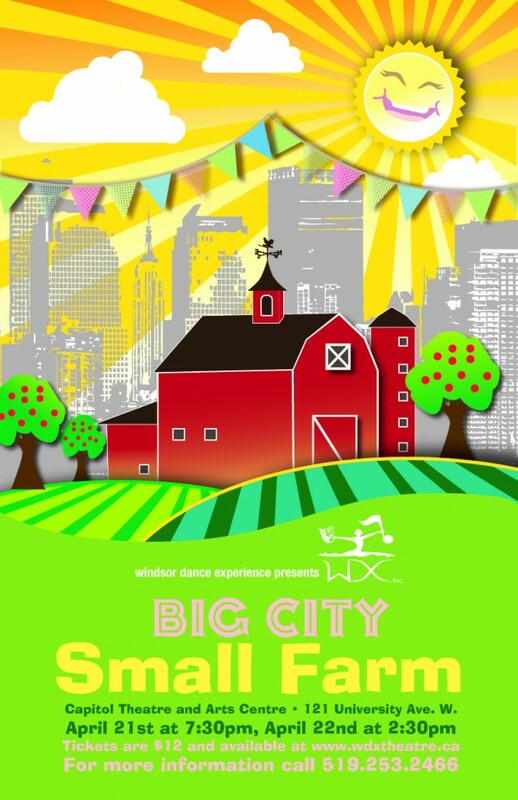 Big City Small Farm is a dance-theatre performance by Windsor Dance eXperience playing at the Capitol Theatre and Arts Centre. This charming family-friendly performance tells the tale of a girl from New York who spends some time on a family farm. Over 30 WDX dancers bringing this story to life, the audience and cast alike will take a journey outside of the big city to discover that dance is the universal language of the soul. Performances are Saturday at 7:30pm and Sunday afternoon at 2:30pm. Tickets are $12, and are available for purchase online, by phone (519) 253-2466, or day-of at the Capitol Theatre.